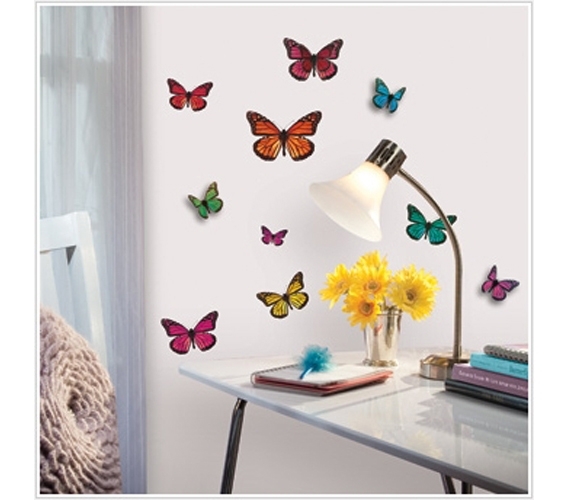 These 3D Butterflies - Peel N Stick Dorm Decor will make you feel giddy all over. They'll flutter around your dorm room and you'll feel like you're floating with them in their garden of sunshine and bliss. If your dorm room is feeling a little bleak lately, then this 3D Butterflies - Peel N Stick Dorm Decor is a college dorm decor necessity for you. 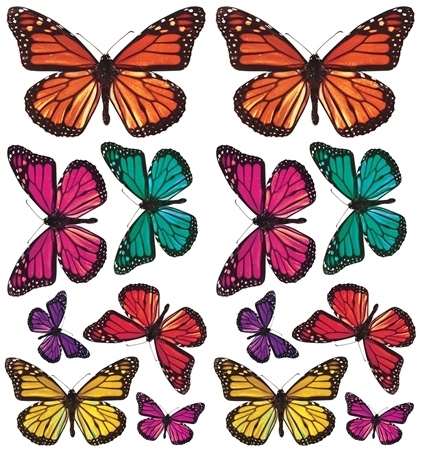 This 3D Butterflies - Peel N Stick Dorm Decor can't help but be light and cheerful. Dormco.com dorm room decorations are made for dorm life. This 3D Butterflies - Peel N Stick Dorm Decor is dorm safe because it sticks onto your dorm walls and peels off without any damage. There won't be a chip of paint missing at all! Since it is made for college life, this 3D Butterflies - Peel N Stick Dorm Decor makes a cool dorm gift for college students.